“Hey guys. Unfortunately my first post on this forum is a cry for help. I shoot on the BMCC 2.5k with one 480GB Digistor SSD. I accidentally formatted the card in the ursa. So i found a couple of folders with 550kb JPG files but i cant open these jpg files anywhere. There are thousands of jpgs like that. Does anybody know what they are? If anyone has any recommendations on data recovery specialists or software for SSDs, suggestions, or any advice/input (other than to slow down and to not do this again) it would be greatly appreciated. Thanks for your time! Are you suffering data loss disaster on SSD drive and attempting to find a reliable way to rescue your files? In this article, you’ll find detail information about SSD drive, major reasons that cause data loss trouble on SSD drive, the best for SSD recovery software and how to avoid further SSD data loss trouble etc. So, don’t worry about losing valuable data on your SSD drive anymore. 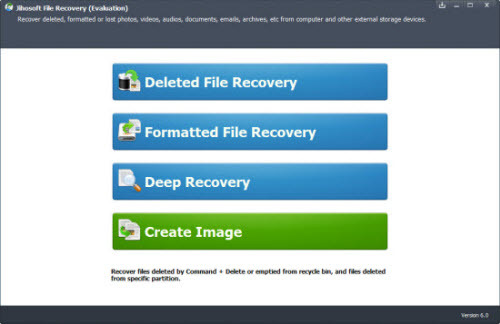 Just relax and follow the SSD data recovery guide to protect and rescue your files. What Is Solid State Drive ( SSD Overview)? Solid State Drive, shorts for SSD, consists of solid-state electronic memory chips (typically DDR RAM or Flash Memory) to read and write data. Being able to extend the life of a notebook battery, decrease the weight of the machine and increase read performance, SSD has solved the problem of physical constraints and is now widely used to replace hard disk drives with high-speed circuitry. What makes SSD drive so popular? 1. SSD drive provides faster access time than a hard disk because the SSD data can be randomly accessed at the same time whatever the storage location. 2. The SSD access time does not depend on a read/write interface head synchronizing with a data sector on a rotating disk. 3.The SSD also provides greater physical resilience to physical vibration, shock, and extreme temperature fluctuations. SSDs are also immune to strong magnetic fields which could sanitize a hard drive. What is the best SSD Recovery Software for data recovery? Even when you take every precaution to avoid data loss trouble, but you may still have to bare data loss problem. Fortunately, third-party SSD drive recovery software is always available to help. But which one is the best choice? Here, UFUWare SSD card Data Recovery for Windows or Mac is recommended. With powerful data recovery capacity, the program can recover lost files from SSD drive in all complicated data loss situations, for example, undelete files from SSD drive, unformat SSD drive, and do SSD drive raw recovery, etc. And with the easy-to-use feature, it can help all computer users to complete SSD data recovery to rescue their files in simple steps. No professional knowledge or technical skills are required. Step 1. Connect the SSD where you lost your data to PC, launch UFUSoft SSD recovery software, Select the disk and click “Scan”. Step 2. A quick scan will start first to search all the lost and existing files on the SSD. 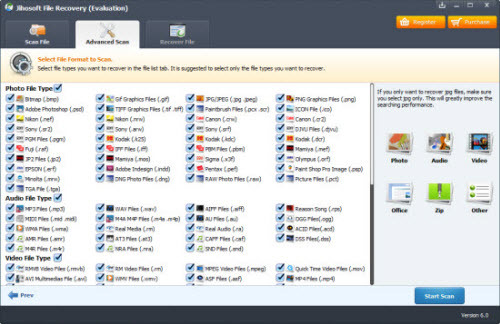 After it completed, a deep scan will automatically launch in order to find more files. Step 3. After the scan, choose those you want to recover. Finally, click “Recover” button to retrieve them back. Here, you’d better save all the recovered files on a different drive or device in case of SSD data recovery failure. Note: Here, please note that UFUSoft free SSD recovery software only allows you to recover up to 2GB data. And if your lost data is more than 2GB, your best choice shall be UFUSoft Data Recovery Wizard, the Pro version that allows you to restore unlimited files.